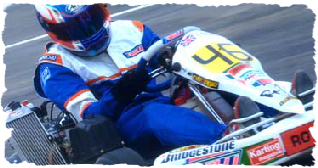 Karting North East offers you the opportunity to experience real outdoor racing on our 1200 metre British Championship circuit. Our new fleet of 390cc Biz Thunderkarts offer greater speeds, responsive handling and with on-board displays showing race data, ensure your party enjoys an adrenaline fuelled experience. With up to 25 drivers racing head to head at any time, we can offer Grand Prix races or Team Endurance events to suit your party size. Our purpose built circuit also features flood lights, so you can enjoy racing during evenings all year round.